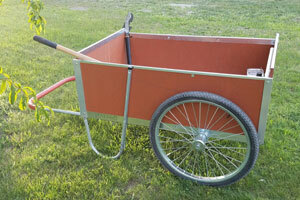 Homestead Carts are warranted against damage or breakage caused by any defects in materials or workmanship for 1 year. Any defective part will be replaced at no expense to the customer. This warranty is given to the original purchaser only and does not apply to damage caused by misuse, carelessness, or severe acts of nature. Designed to withstand the extreme conditions in all climates, with stronger construction than other frames. Illustrated Assembly Instructions: Instruction manuals are detailed and well illustrated, with most major components numbered. Bolted metal trim, not pop on trim. Your information is secure with us - we only use it to process your transaction and never share your information with anyone. Ever!!! 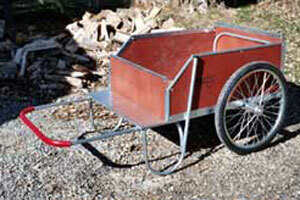 The only time we will ever use your email address is to ask you a question concerning your order or Homestead cart. Is my credit card information safe with you? This site utilizes Secure Sockets Layer, an advanced data encryption system used to ensure the security and confidentiality of information exchanged between your browser and the e-commerce server. All of your personal information (including credit card numbers) will be encrypted and then transmitted from your browser to the e-commerce system securely. This information is only viewed by us. You will notice that it takes just a moment to connect into the secure area and that there is a small lock icon on the bottom right of your browser whenever you are prompted to enter information. We accept Mastercard, Visa, American Express, Discover, money orders, online Checks and regular checks. please note that we wait for all checks to clear the bank before shipping. We will work with purchase orders - however we do require payment before shipping. Tell me more about using my credit card to make a purchase? Custom-made items that require production time may be billed well in advance of delivery. Please do not be concerned as this is normal for such items. 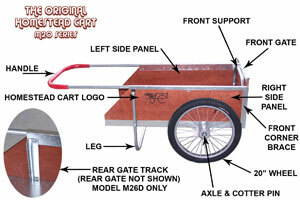 Homestead Carts/homesteadcarts.com will not be responsible for delays in processing your order if the credit card billing and shipping information that you provide does not match the information on file with your credit card company. For your own security, most credit card companies maintain an "alternate address file" of authorized shipping addresses for their cardholders. To advise your credit card company of an authorized shipping address, please phone the number on the back of your credit card and they will update your "alternate address file" promptly. 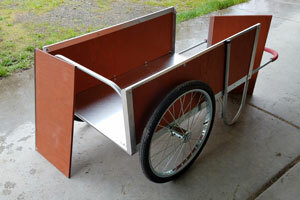 When will my Homestead cart arrive? You should expect to receive delivery within 5-10 business days in the 48 contiguous states unless otherwise noted. What do I do when the shipment arrives? On the larger Homestead carts, and other items that ship by freight, the purchaser is responsible for getting the items off of the delivery truck. We recommend you have at least 2-4 people to help you remove your items. The driver is not responsible for removing the packages. Also, some freight trucks are not able to deliver up your driveway. You are then responsible to remove the items and transport them by other means, carry them or by pick-up truck, to your house. If you have questions please contact us. If you are not satisfied with your purchase, just notify us within 30 days from the date you receive your order (After 30 days there are no returns and the manufacturer's warranty applies). We will happily refund the purchase price, less 15%, of your item(s) or exchange the item(s), as you wish. Shipping charges are not refundable, and COD packages are not accepted. Any discounts given will be subtracted from returned merchandise refunds. Damaged or missing items noticed upon delivery should be reported promptly and will be replaced at our expense. Returned products must be in original condition. 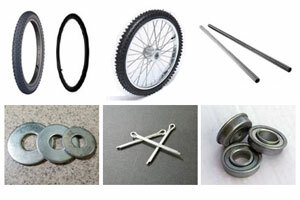 This includes original packaging material, manuals, and all other accessories provided by the manufacturer. Homestead Carts whose prices include shipping: An additional 10% of the greenhouse price will be charged for returned greenhouses to cover shipping costs (this only applies to greenhouses with shipping included in the price of the greenhouse). To return a product, you will need to obtain a RMA (return merchandise authorization) number. Just use the online help desk to request an RMA. Our customer service representative will give you an RMA number to be placed on your package(s).